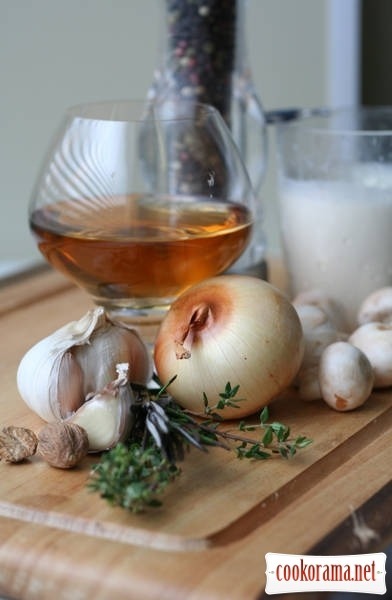 Wash and clean the liver and fry it in a mixture of oil and butter, add the sherry,boil a little bit for evaporating alcohol,add salt and cream. Leave for stewing until cream melt. At the same time the second pan fry onions and mushrooms. When they are almost ready, add the squeezed garlic and salt. 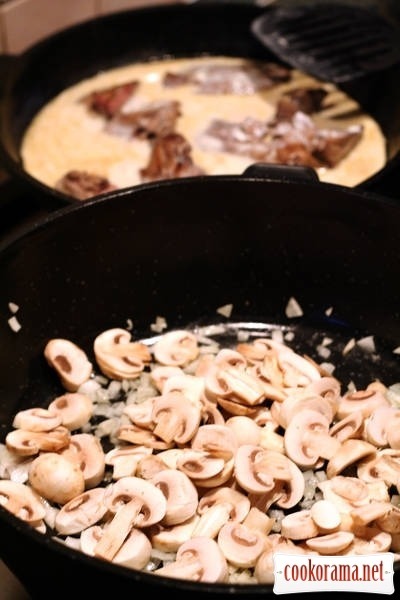 Liver with cream put in blender and grind separately, and mushrooms — at low speeds or with a plastic knife just chop (no need to grind them into little pieces). 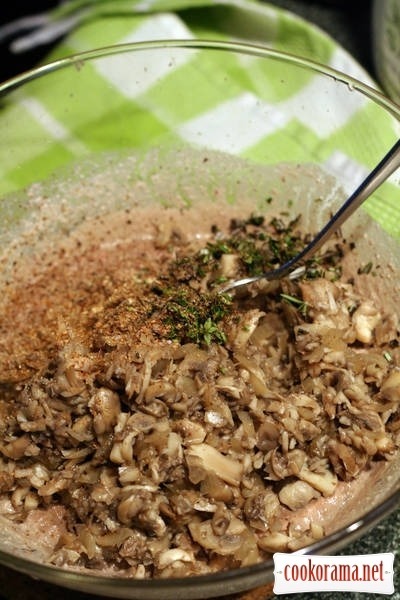 Grind herbs and nutmeg, pepper and mix it thoroughly. 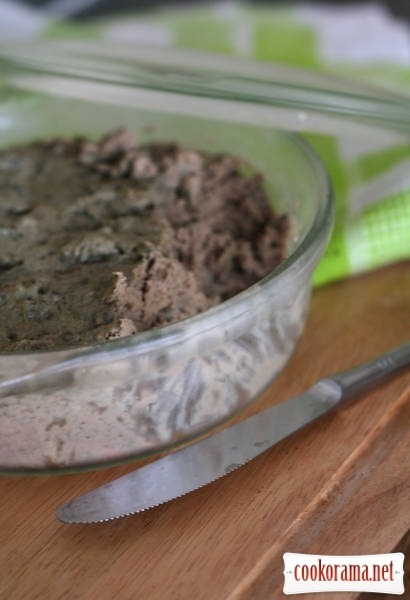 Spread paste in a ceramic or glass form and bake half an hour in the oven (160 degrees). Ideally pate should stay for few days, but can not withstand, too delicious, so it's best to do it at the evening so that it at least stood overnight. 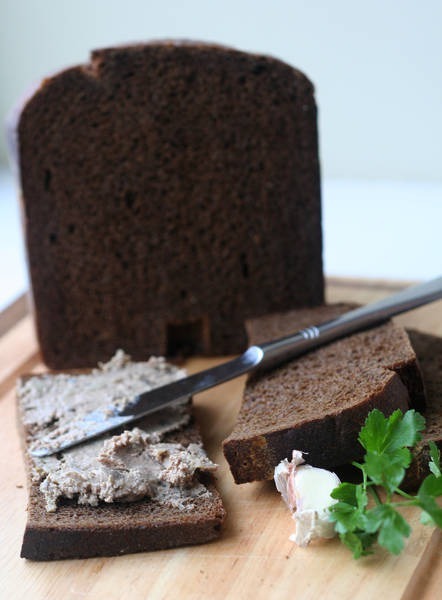 For morning toasts with home bread — that`s what you need. Top of recipe "Chicken pate with mushrooms"
Вже готувала за вашим рецептом. Класно!